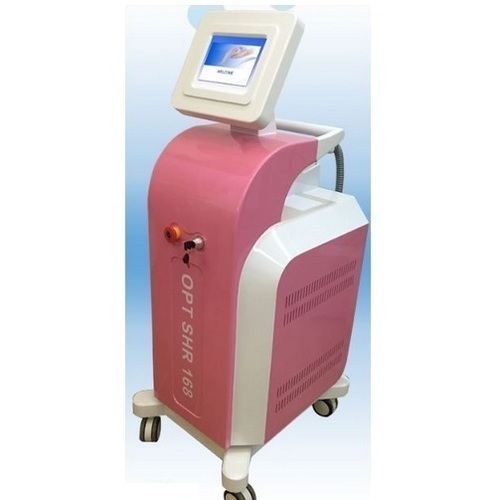 We are a recognized organization of this domain, involved in manufacturing and wholesaling a quality approved assortment of Laser Hair Removal Machine, Tattoo Removal Machine, Skin Care Machine etc. We are manufacturers and wholesalers a wide array of Beauty and Physiotherapy Equipment like Laser Hair Removal Machine, Tattoo Removal Machine, Skin Care Machine etc. Our offered range consists of best grade Laser Hair Removal Machine, Tattoo Removal Machine and Skin Care Machine. Premium quality raw material and latest technology are used in designing of these products to uphold their harmony with set quality standards. Additionally, this offered range is admired for their features like minimal power consumption, high strength, sturdy construction, low maintenance, lightweight and long service life.